South of British Columbia, east of the Pacific Ocean, and just west of Idaho lies the beautiful state of Washington. Boasting many beautiful sceneries and a wide array of golf courses to its name, Washington is home to major cities like Seattle, Spokane, Vancouver, Tacoma, Olympia, Bellevue, Kent, and Federal Way. Washington is commonly known as the ‘Evergreen State’ because of the large fir and pine tree population that can be seen anywhere in the state. It has also earned this nickname due to the tremendous importance that the state has placed towards the value of forestry and its preservation. Some of the major water sources can also be found here like the Columbia River and the Grand Coulee Dam which provides 30% of the nation’s hydroelectric power. While many come here to enjoy fun in the sun amidst the different natural resources that the state can offer, some locals and tourists also partake of some outdoor recreational activities like golf. There are an astounding 618 golf courses that can be found in the state of Washington. Listed below are some of the best public golf courses the state has to offer, along with some semi-private facilities which allow non-member playing privileges in exchange for daily green fees and other charges. Located on a former rock quarry and sitting in a giant bowl surrounded by the railroad and the Puget Sound is the widely popular Chambers Bay Golf Course. It had the privilege of hosting the 2010 U.S Amateur and the 2015 U.S Open. Designed by the renowned course architect Robert Trent Jones, Jr., this links-style course is devoid of any water hazards or even a single tree, which makes it almost impossible to lose your ball. The large greens composed of fescue grass complements the extensive fairway that is peppered with large sand dunes and a vaunted bunkering system. The fairways are composed of a combination of bent and fescue grasses which make it hard to sustain the weight of a golf cart, hence they are strictly for walking purposes only. Their signature hole is the 139-yard, par-3 15th hole which is so picture-perfect that you’d want to pause for a moment and take a selfie with it and the glistening Puget Sound in the background. It features a humongous irregular-shaped bunker hugging the green. My personal favorite is the 172-yard, par-3 17th hole featuring an elevated tee and huge bunkers surrounding the green with a wart bunker on the left portion of the putting surface. Overall, Chambers Bay Golf Course not only delivers an exciting game but also offers breath-taking views with its own distinct charisma. A true bucket-list course that deserves its reputation as one of the best golf courses in Washington. Gamble Sands Golf Club is a little bit far but it is labeled as an absolute gem out of Central Washington that is well worth the drive due to its beautiful scenery and the exciting links-style layout that won’t beat you up as bad as the other links courses would. Opened only in 2014 and designed by architect David McLay Kidd, the layout takes advantage of the natural terrain and the beautiful vistas afforded by its enviable location overlooking the Columbia River. This golf course has extra generous fescue grass fairways and forgiving greens that seem to funnel your ball towards the location of the hole. The greens have fewer undulations and have just the right speed that you don’t have to worry about your ball going six feet past the hole if you happen to miss a putt. There are enough strategically placed bunkers to provide the challenge and excitement throughout the round. The signature hole is the 301-yard, par-4 2nd hole featuring a fantastic view from the green and a large pesky bunker on the middle of the fairway. My favorite is the 225-yard, par-3 16th hole. It has a large green with a hill on the right side that should help bring the ball back towards the putting area if you happen to overshoot while trying to avoid the massive bunker on the left side of the green. The most difficult hole is the massive 517-yard, par-4 5th hole. Aside from the fact that you are only given four strokes to finish this relatively long hole in regulation, it is also compounded by the fact that the green is positioned too close to the back tee of the succeeding hole. If your ball bounces that far, then it would be in danger of falling off the steep canyon. Gamble Sands G. C. also offers a great dining experience at Danny Boy’s with their exceptional menu at affordable prices. This is a course that offers great value for money. It is definitely one of the best golf courses in Central Washington. 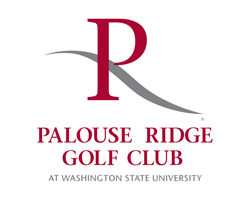 Washington State University’s Palouse Ridge Golf Club is our third consecutive links-style course on this list. It is considered one of the best university courses in the country. It was originally designed by Robert Muir Graves in the early 1950’s but was recently renovated by John Harbottle III in 2008. Harbottle did not only restore this course to its former glory but also managed to bring out the full potential of the existing terrain while factoring in the beauty and peculiar conditions of its Pacific Northwest environs. This vast rolling property may be a little intimidating for beginners and high handicappers, but it provides just the right amount of challenge for the seasoned players. The signature hole is the 626-yard, par-5 10th hole which offers a panoramic view of the property. The downhill tee shot will lead you to a dogleg right fairway before reaching the ample green which is complicated by an infinity edge at the back and a massive bunker to its right. Right off the bat, the layout greets you with a magnificent par-4 on the first hole. It features a rolling terrain and a hill which helps you compensate for any errant tee shot going towards the far left side by helping the ball roll back towards the fairway. The fairway goes down a valley before going back up to the elevated green. A great appetizer to what turned out to be a truly exciting and satisfying overall layout. It is a tough but fair course. Even high handicappers will have a fun time if you start from the forward tees. Don’t miss the chance to play this course if you pass by the area. It does not disappoint. It definitely deserves a spot as one of the best golf courses in Washington. Salish Cliffs Golf Club is located just 20 minutes from Olympia and only an hour’s drive from Seattle. It opened in 2011 and was immediately recognized as the “Best New Course” by Golfweek and Golf magazines due to its dramatic landscape that offers an up and down routing through a 600-foot hillside with picture-perfect views of the Kamilche Valley. It was also recognized as the 9th and 3rd in Washington State according to Golf magazine and Golfweek’s 2013 best public courses list. Designed by Gene Bates, the layout does an excellent job of maximizing all the potential challenges embedded in the original terrain. It offers a wonderful diversity with a mixture of wide open holes and isolated holes carved through the trees. The dramatic elevation changes and the surrounding trees’ girth and height provide a distinct challenge in playing this track. The fairways are exceptionally well-groomed, with smooth rolling greens covered in Bentgrass turf that is typical for courses in more tropical climates. The signature hole is the 532-yard, par-5 first hole with a fairway that sweeps slightly to the right. A huge maple tree is in play as it messes your line from its position on the fairway. Players who can execute a good fade will fare well on this hole. My favorite feature of this track is the fact that Hole Nos. 9 and 18 are sharing a double green and an expansive area of up to 15,000 square feet. Their layouts are separated only by a magnificent lake and wetland preserve. The 601-yard, par-5 8th hole is the longest on this course. This dogleg fairway is actually trickier than it seems and will require careful planning and some strategic play just to finish with a par. Depending on your strategy, you may be forced to use more clubs in your bag than you initially bargained for. The Salish Cliffs Golf Club provides an exhilarating round and a rejuvenating respite just minutes from the hustle and bustle of the city. It’s definitely worth the trip if you are ever in Olympia or Seattle. For that, it deserves a spot on our list for the best golf courses in Washington. This Dan Hixson-designed masterpiece perfectly fits the surrounding terrain that they seem to have been deliberately painted just to provide the perfect backdrop to this magnificent layout. It has a minimalist feel, with a seeming emphasis on the short game as the wide greens are effectively countered by major undulations, tight lies on chipping areas, and gnarly bunkers around the putting areas. The rough is mostly composed of tall fescue grass, so be very careful not to pull your shots wide otherwise it is almost impossible to find your ball without holding up the next flight. The course is always kept in excellent condition. It has exceptional hole diversity with great routing. The signature hole is the 585-yard, par-5 18th hole. It offers a stunning view of the Walla Walla area and the golf course itself from the green. If you play it right, you will have a chance to finish with a birdie. It is not as easy as it sounds, however, as there’s still the lurking danger posed by the tall fescue rough on the left and the difficult uneven lies from the right side of the fairway as you approach the green. My favorite hole is the 470-yard, par-4 opening hole. Long hitters can rip a powerful drive from the tee, avoiding the humongous fairway bunker on the right and setting up a short wedge shot into the green. It’s an adrenaline-filled hole that perfectly sets the tone for the rest of the round. The Wine Valley Golf Course has been cited as the 2nd best public course in Washington in 2012 by Golfweek and Golf magazine. It is a ‘must play’ course for any serious golfer, especially those who have an affinity for links-style courses. This is one of the premier public courses in Washington that gives you that absolute sense of isolation due to the dense tree population and its remote location. It hosted the 2006 U.S Amateur Public Links tournament and it is also the venue for the annual University of Washington Husky Invitational. Designed by John Harbottle, the layout consists of surprisingly wide, tree-lined fairways, undulating greens, water hazards, frequent elevation changes, plenty of mounds, and excellent bunkering. The signature hole is the stunningly beautiful par-3 16th hole which requires you to carry your tee shot over a lake to reach the opposite green. The 467-yard, par-4 17th hole is probably the most difficult hole of the entire track. It traverses a valley that is sandwiched between hills, with an even bigger hill on the right side of the fairway that is actually helpful in executing a right-to-left slope to lead your ball back to the fairway. The risk/reward final hole is a perfect way to cap your round. With the obstacles stacked on the right side of the layout, however, the risk far outweighs the reward in this case. So the safe play would be the most practical option here, which is to aim for the left side of the fairway, eventually leading to a wedge shot into the heavily-bunkered green. Don’t miss the chance to play the Olympic at the Gold Mountain Golf Course. It’s a fair test of skill with absolutely stunning vistas to boot. It is one of the best golf courses in the greater Seattle area. Newcastle Golf Club offers you an exciting round of golf with stunning views of Mt. Rainier, Lake Washington, downtown Seattle, and downtown Bellevue providing the backdrop. China Creek Course was listed among the ‘Top 50 Courses in the US’ by the Golf for Women magazine. The layout has a balanced mixture of short and long holes with incredible diversity that is built on utilizing the area’s natural terrain without sacrificing on the intended challenge and difficulty level of the course. The opening hole is a straightforward par-5 with a seemingly unprotected green, but it is immediately followed by a very exciting par-3 second hole which requires you to carry your tee shot about 200 yards over a vast waste area to reach the green. The finishing hole requires skillful planning as you have to carry a deep ravine off the tee before taking on the uphill fairway that leads to a heavily bunkered green. Generally speaking, all the holes have their own amazing views, but my personal favorite is the view from the 10th green which offers a breathtaking vista of what seems to be all of downtown Seattle. It’s a ‘love it or hate it’ course as some purists may find some aesthetic features like greens fronted by waterfalls to be annoying and quite over-the-top. I personally love them, so I definitely belong to the ‘love it’ camp. 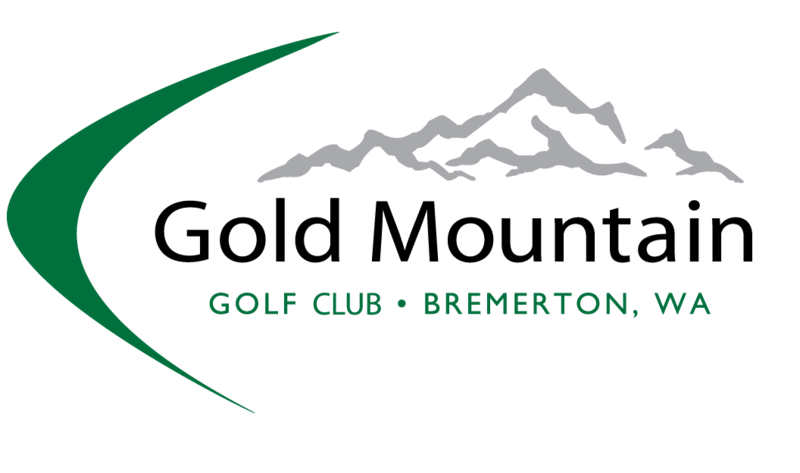 Overall, if you are somewhere in Seattle and you want to impress a client or a friend then this is definitely the best golf course closest to Seattle. The Apple Tree Golf Course in Yakima, Washington is famous for its signature apple-shaped island green on the 17th hole. But this course is more than just a one-hole wonder. Built out of a century-old former apple orchard, the whole layout is both a tribute to the great game of golf as well as the significance of apple farming to the state’s history. It does this without veering away from the important details that make the game exciting. Sure, there are interesting aesthetic touches like the double green, a fruit-bearing orchard with old farm implements on the front nine and several water features, including a nice waterfall, on the back nine. But you also have elevated and undulating greens, blind tee shots, excellent bunkering, long par 5s, several island greens, the occasional winds, and lots of water hazards that make the game truly a challenge even for seasoned players. Apple Tree Golf Course more than adequately proves that it has substance and not just form. The front nine is composed mostly of very strong par 4s. You open your round with the 414-yard, par-4 first hole which features an elevated green and a deep ravine. The 403-yard, par-4 fifth hole has a severe right-to-left sloping fairway with water surrounding the green. The seventh green is also fronted by water which complicates your approach shot. And topping this impressive par-4 collection is the intimidating 420-yard, par-4 9th hole with views of three massive ponds that necessitates a 200-yard carry off the tee to land safely on the fairway. A housing development is visible on the back nine, which may turn off some purists, but some fabulous water features more than make up for it especially the waterfall on the 14th hole. Upon reaching the famous apple-shaped island green on the 17th you quickly realize that it’s not just all fun and games with this hole. You have imagined playing this signature hole since you practically arrived at the course that you become over-eager once you reach the tee. The massive green isn’t the easiest to putt as well with its tilted layout. Apple Tree Golf Course also has a beautiful log-cabin style clubhouse manned by very well-trained and friendly staff. You have to include this course on your list when you come through central Washington. The long drive through the mountains will be absolutely worth it. Whether you love the fruity theme or not, this is definitely one of the best golf courses in the state of Washington. You come here for the signature apple-shaped island green but you will leave feeling impressed with the great experience and the entire property as a whole. The Bear Mountain Ranch offers magnificent views of majestic Lake Chelan and the surrounding mountains. Opened in 2005, this course is a bit difficult and would be a good match for the seasoned players and single-digit handicappers. It has very good routing and exceptional hole diversity which makes every hole uniquely challenging. You have to take advantage of every break that you are given in order to prop up your scorecard. One of the rare freebies is the downhill 336-yard, par-4 second hole. It is a very straightforward hole with practically no obstacles impeding your way to the green for the possible birdie opportunity. The signature hole is the risk/reward 204-yard, par-3 third hole which sits on top of a ridge. You can choose to attack the green directly off the tee by carrying about 200 yards over the ridge, or you can lay up towards the left side portion just before the green for a safer and more leisurely approach. The 551-yard, par-5 8th hole offers a change of pace as you take on an uphill fairway after taking on mostly downhill shots on the previous holes. The challenge starts on your 2nd shot when the fairway ascends pretty quickly towards the elevated green. Golfers who want to continuously hone their skills will find a great test at the Bear Mountain Ranch. Beginners and high handicappers can enjoy the magnificent views or just take the forward tees to have a fun round. If you are up for a challenge, the Bear Mountain Ranch is one of the best courses in north-central Washington. 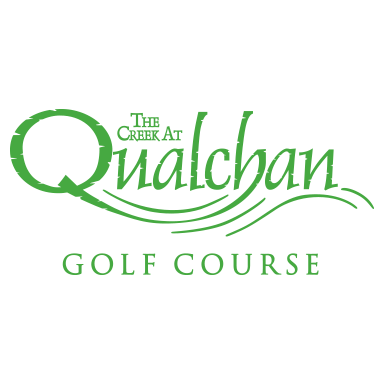 The Creek at Qualchan offers an exciting combination of strategically placed bunkers, water hazards, and dramatic elevation changes to make for a fun and satisfying game. Upon starting your round, you will immediately face their signature hole which is the 359-yard, par-4 first hole. It features a cardiac drive off a cliff to the fairway about a hundred feet below that is also made more complicated by the presence of four massive bunkers in the vicinity of the landing area. The 398-yard 2nd hole is a very challenging par-4 due to the presence of a hill that comes into play between the fairway and the green. You have to control your tee shot in such a way that it leaves you with enough window to comfortably approach the green with your 2nd shot. Hit it too long and you’re left with a very small and difficult window. Hit it short and you’ll be practically approaching the elevated green blind. The 333-yard, par-4 13th hole will give you a chance to recover some of the strokes you may have lost on the difficult front nine. A downhill slope around 150 yards from the back tee allows your ball to roll an additional 50 meters towards the final landing area, giving you a clear window and an easy pitch to the green for a very makeable birdie opportunity. The layout features five ponds, wooded terrain, and a creek that criss-crosses through the track at different points. It is a well-maintained course amidst a beautiful and serene setting. Overall, the Creek at Qualchan has a very quirky but fun layout which earns it a spot on our list of the best golf courses in Washington. Aside from all the tourist attractions that abound in the state of Washington – which range from mountains, beaches, forests and other scenic tourist spots – golf enthusiasts and outdoor adventurers will also be drawn to this state’s plentiful natural wonders while enjoying a spirited game of golf. 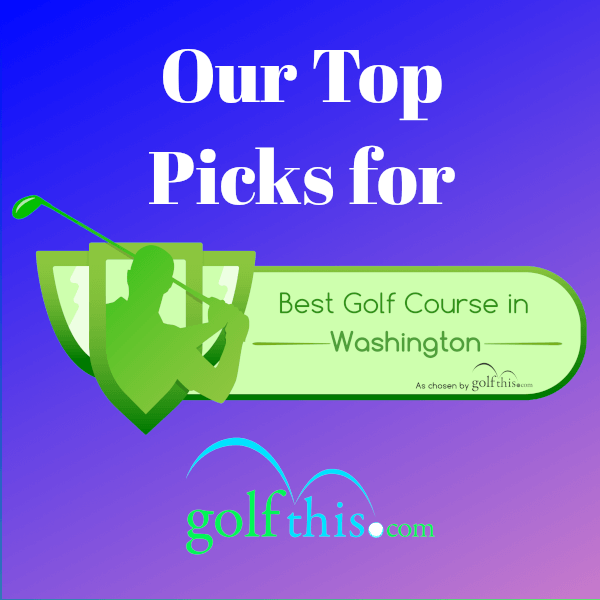 While it certainly has no shortage of golf courses, what we have presented here are our own top picks for the best golf courses in Washington based on gathered surveys from players, golfing publications, and our own personal experiences. It is by no means a comprehensive list, however, as there may still be some unspotted golf courses that we may have missed here due to time and space constraints. We’ll leave those hidden gems for you to discover. We would love to hear about your experiences and we would be open to updating the list when applicable.